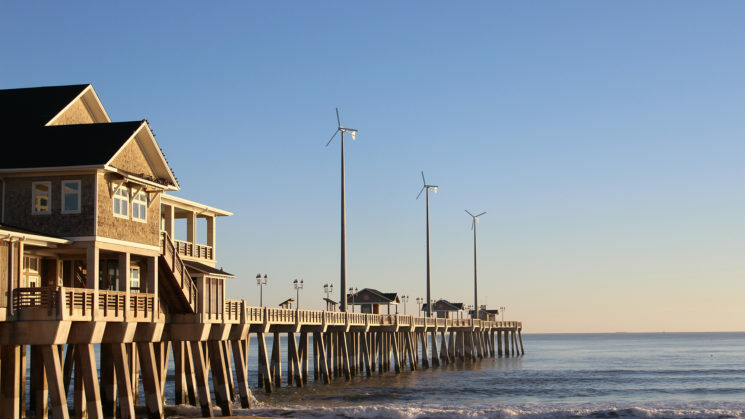 Nags Head is planning for the future and the uncertainty that comes with living at the coast. An excerpt from the new Seacoast Plants of the Carolinas explores how native plants adapt and thrive in the challenging coastal environments. Challenges of living in a changing coastal environment are highlighted in RISING, a traveling multimedia exhibit. With North Carolina Sea Grant funding, researchers from five universities will tackle issues including hurricane recovery, oyster reefs and aquaculture, coastal communities, saltmarsh conservation and science literacy. Also, three new partnerships, funded by the N.C. Community Collaborative Research Grant Program, consider flood risks and emerging contaminants, as well as new tourism opportunities that capitalize on dark skies. After a six-year absence, leatherback sea turtles have again graced North Carolina beaches. Mariner’s Menu features summer seafood favorites, including grilled scallop kabobs and Carolina shrimp boils, as well as foods with a twist, like snapper with tropical fruit salsa and seafood-stuffed avocado. 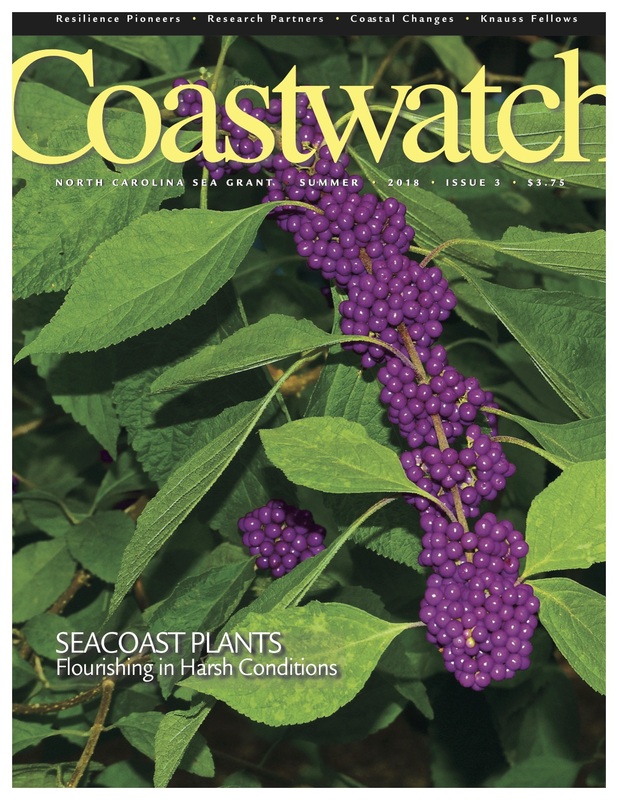 Coastwatch is the flagship publication of North Carolina Sea Grant. To subscribe, please visit https://ncseagrant.ncsu.edu/bookstore. To request a sample copy, call 919-515-9069; or send email to kmosher@ncsu.edu. Many current and past Coastwatch stories also can be viewed online at nccoastwatch.org. The text of many stories that appear in Coastwatch may be reprinted with the following credit: Reprinted from Coastwatch, a publication of North Carolina Sea Grant. For a complimentary copy, call 919-515-9069, or send an email to kmosher@ncsu.edu. Send your reprint requests regarding text and all photos to Katie Mosher at kmosher@ncsu.edu, 919-515-9069. North Carolina Sea Grant: Your link to research and resources for a healthier coast.